Red Hat pioneered open source solutions for the enterprise. Building on the successes of Red Hat Enterprise Linux, the company in 2006 acquired JBoss, an open source middleware company. 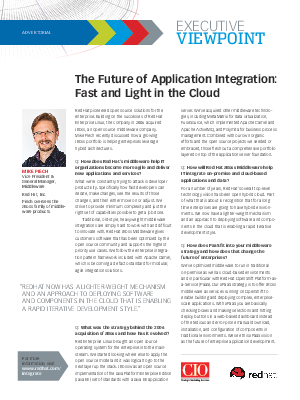 Mike Piech recently discussed how a growing JBoss portfolio is helping enterprises leverage hybrid architectures.